In recent years the beach in Playacar has become very famous for kiteboarding. During the months leading up to the World Kite Boarding Championships in April this beach is packed with kiteboarders from all around the world. The windy conditions of these beaches makes for perfect kitesurfing conditions in Playa del Carmen. This beach is also known as being a quiet area in which you can relax and is often quiet and has some of the best beaches in the Mexico and in the world. Playacar starts next to Señor Frogs and ends just past Sandos Playacar. The walk to he end of Playacar is a nice one, walking past of the big houses, hotels and resorts. If you want to have some fo the best snorkeling in Playa del Carmen then you will find it past Sandos Playacar Here there are no hotels or resorts. The beaches This area has a lot of condos for rent and has some of the best houses in Playa del Carmen, and can make the perfect location for a getaway break. Playacar is full of world class resorts and hotels. 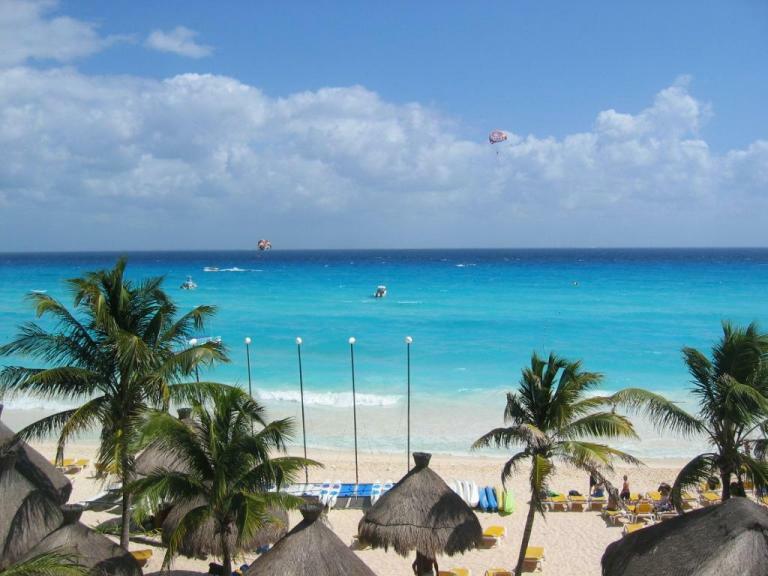 Some great examples of the hotels in Playacar are theThe Reef and the Viva Wyndham Maya and Azteca. Day passes (includes food, beverages and entertainment) area available and they cost around 70USD per person er day. This can often be a good option for spending a day at Playacar. Playacar is also home 2 sets of Mayan Ruins. one of them is located on the main road of Playacar and the other one is oean front. This set of Mayan Ruins is called Xaman Ha which is full of Mayan history, Mayan legends and Mayan mysteries . The good thing about these sets of ruins that there is no cost to visit them, and can be found opposite the Sunset Fishermans Hotel. If you are going inside Playacar, you willbe able to do some shopping at the Playacar Plaza and for those nature lovers there is the Xaman Ha Aviary which had many exoctic birds. Golf in Playa del Carmen is known worldwide. Playacar is also very famous for its world class golf course. This 18 hole Playacar Golf Course was buit amongst te lush foliage of the Yucatan Peninsula, making the gold course not only beautful, but challenging as well. The club offers a first class practice area, complete with a spectactular driving range and a large putting green including chipping, pitchin and greeside bumker areas. Golf lovers should not miss out in playing golf in the Mayan Riviera. Esta entrada fue publicada en Budget vacations to playa del carmen, Luxury Vacations in Playa del Carmen, mayan calendar, mayan ruins, mayans, Mexico, Playacar beach, Riviera Maya, Romantic Vacations, Travel, Uncategorized, Weddings in Mexico y etiquetada beach vacations, holidays in mexico, holidays in playa del carmen, mayan explore, mexican holidays, mexican resorts, playa del carmen, playacar hotels, playacar resorts, playacar senr frogs, royal hideaway the reef playacar, sandos playacar, vacations in playa del carmen. Guarda el enlace permanente.